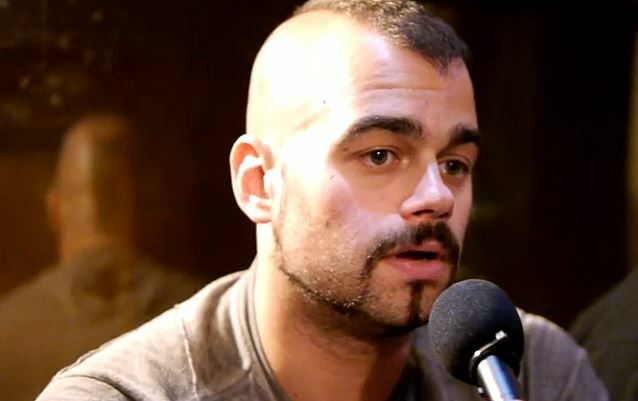 Zisis Petkanas of Greece's Rock Overdose recently conducted an interview with vocalist Joakim Brodén of Swedish metallers SABATON. You can now listen to the chat using the audio player below. SABATON will release its new DVD and Blu-ray, "Swedish Empire Live", on September 20 via Nuclear Blast. The disc features the band's live performance at the renowned Polish Woodstock Festival in 2012, where over half a million fans had gathered to watch SABATON in action. Besides this main feature, the first-ever SABATON live offering also features even more live footage of the band's performances in Gothenburg, London and Oberhausen on their extensive "Swedish Empire Tour".